Slice off the top of the pumpkin and scoop out the seeds, leaving the flesh intact. Set aside. Combine the eggs and sugars in a bowl. Stir until the sugar dissolves. Add the coconut cream and stir well. Pour the mixture into the hollowed pumpkin. Prepare a steamer. When the water boils, place the pumpkin in the top half, then cover and steam for 45 minutes until the custard is set – test it carefully with a skewer. Leave to cool completely before serving. 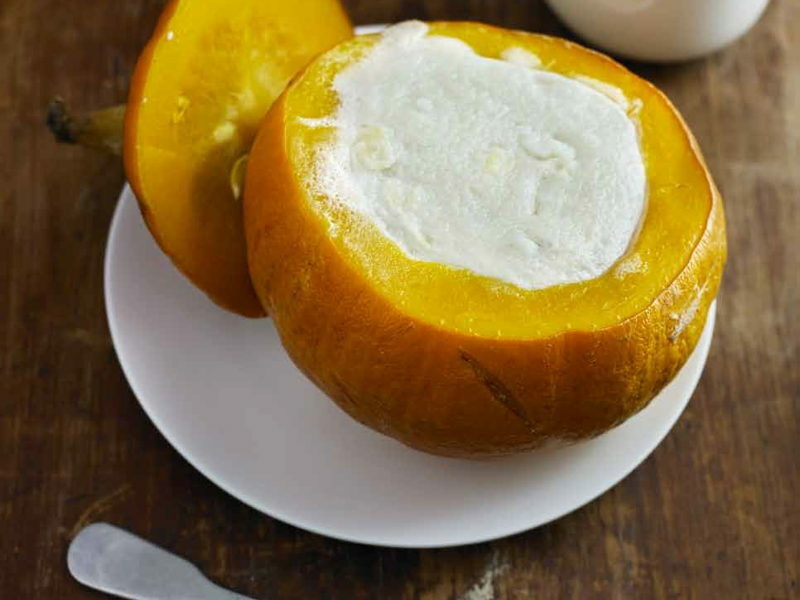 This dessert is best served cold, with the custard completely set and the pumpkin cut into wedges.